By Brian Houlinan| HempToday– Legacy European hemp firm Dun Agro will mark another industry milestone tomorrow (Nov. 30) at a ceremony celebrating completion of a pre-fabricated hempcrete house. 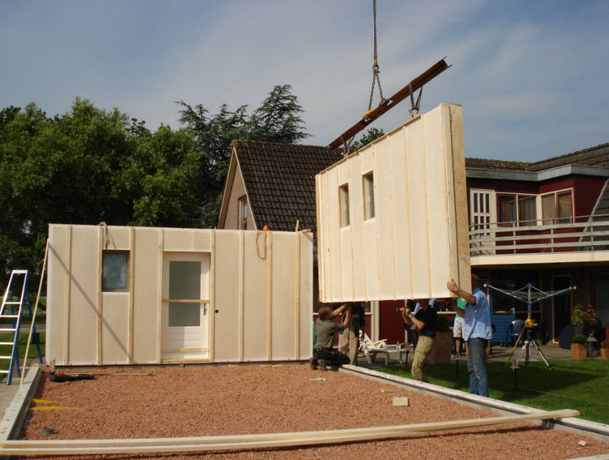 “This is the first hemp building that is completely built in this new prefab technique,” said Albert Dun, founder at Dun Agro, Netherlands, which put up several smaller demo structures during development of its HempCal modular building system. 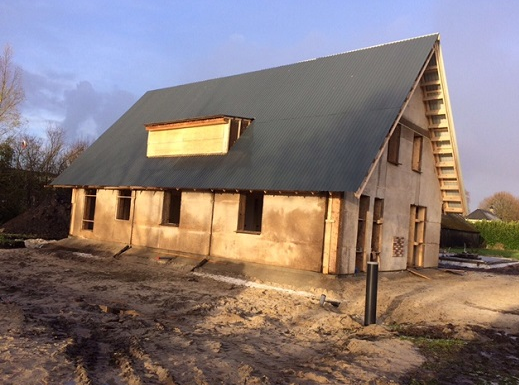 Walls and roof elements for the two-story house were formed in Dun Agro’s facility in Oude Pekela, in northern Holland, and demonstrate the feasibility of building with hemp on a large scale, Dun said. “For me, it was important to create a process that makes hemp building accessible to the regular building industry,” said Dun, who has visited many hemp building projects around the world, most of which he noticed are private and small-scale. Particularly in the Netherlands, the construction industry tends to be based on large-scale projects rather than private, individual builds, Dun noted. The HempCal system is based on wooden frames into which a mixture of hemp shivs, hydraulic lime and water is poured to create the building elements. After two months of drying, the elements can be installed at the construction site, which vastly reduces building time and makes the process much more efficient. “It is the absolute best material for creating an organic, insulating building with a healthy indoor climate,” Dun said. While solar panels will be added to provide electricity for the house, “Because of the excellent insulation of the HempCal elements, it needs relatively little heating,” Dun said. Dun says government officials are supportive of the project as the desire for sustainable and energy-neutral buildings is high. Additionally, in north Holland, where Dun Agro grows hemp, property owners are experiencing damage to buildings as a result of earthquakes seemingly caused by gas drilling. “The government is currently facing a big challenge of providing new, earthquake resistant buildings in that area. For that, hemp is a great solution,” Dun noted. Dun said his company is already working on three new pre-fab hemp houses, which will be finished in the next few months. In the meantime, larger project developers are beginning to take notice. “We are currently liaising about the first small hemp district in the Netherlands,” Dun said. Dun was among the first farmers who helped reintroduce hemp to the Netherlands in the 1980’s. Since then he has been a major force in helping to modernize the industry. Having grown up on a farm which grew sugar beets, potatoes and corn, Dun said he was intrigued by agriculture from a young age. Dun was instantly drawn to the hemp plant when he first learned of it decades ago, and subsequently launched Dun Agro, primarily as a hemp fiber processor. But the company has expanded beyond those roots. In 2013, Dun saw the increasing demand for CBD and developed harvesting machines that strip leaves and flowers. “With this innovation, we are able to harvest the stems and the tops at the same time. This enables us the extra value stream of CBD from the same crop.” Last year Dun Agro built a laboratory for the further processing of CBD products. “The opportunities and multi-value streams of this crop were a big challenge to me. It gave me the opportunity to innovate and to develop new machines,” Dun said. 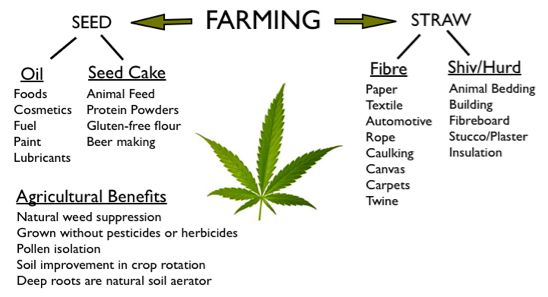 Dun Agro plants about 1,100 hectares of hemp annually with different farmers rotating it on their fields. The company’s processing factory then separates the fibres from the shivs. Government officials and building industry reps as well as the press are expected for tomorrow’s ceremony to christen the pre-fab house. The public can tour the house this Saturday (Dec. 1). Great story! Great product from a great plant! Hemp, Hemp, HOORAY! !